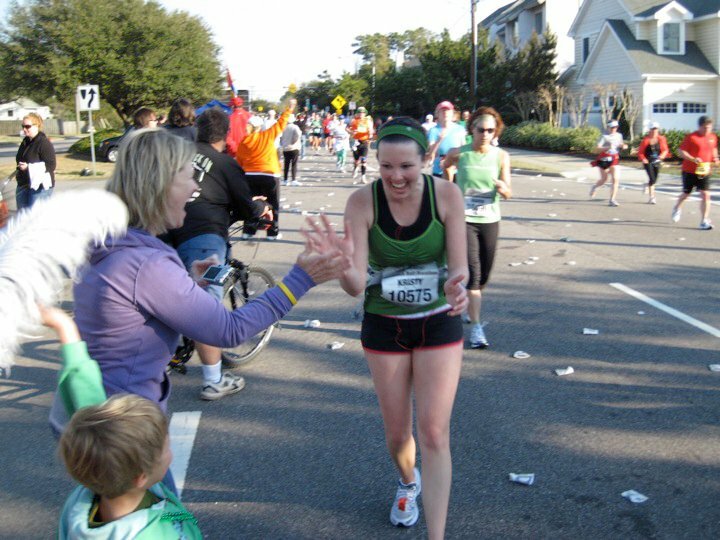 My relationship with running has gone something like this – We met. We were childhood friends. Our relationship had ups and downs in high school. We fell in love. We broke up. We got back together too soon. We broke up again. We had a one night stand. We pretend the other doesn’t exist. We meet each other again, at the exact moment when we needed each other most, and we are in love for all the right reasons. This time we are committed for life. 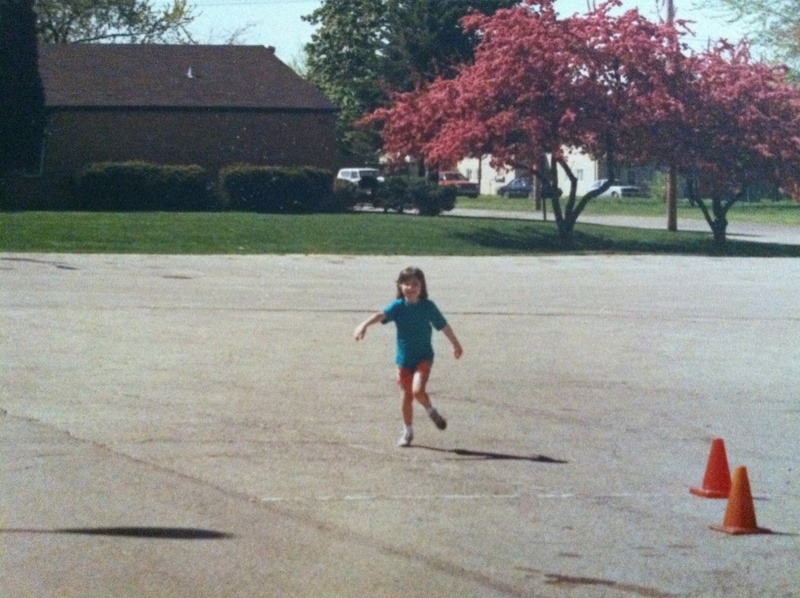 I’ve always loved running. I’ve never looked at runners and wondered “why”. As a child, my dad ran the “fat boy” program in the Navy (at least that is the memory I have from being 6 and 7. Dad, feel free to correct me). He used to bring me with him to the gym, and I’d run circles around the guys who couldn’t pass the PT test. I loved running by them in the gym. I was a skinny kid. I was short, but lanky. All arms. All legs. Those arms and legs loved to move. I ran my first one mile race during the summer time of 1987 in Great Lakes, Illinois. I remember thinking it was hard. I remember stopping on a curb and crying. My dad was right there to make sure I kept going. I quit crying, and I eventually kept running. I came in 3rd place………..out of 3 runners. I loved it. 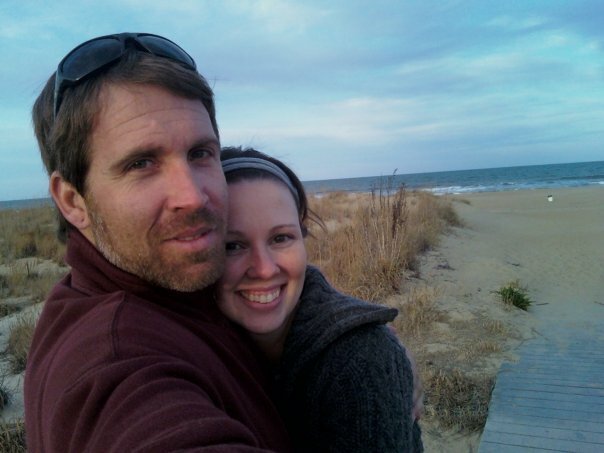 In 1988, we moved to Virginia Beach. We lived on a cul-de-sac that branched off a road around a lake. Although I didn’t run anymore races until high school, I remember my dad running all the time. Every weekend he was put on his running shoes and heading out the door. I’d sit outside and wait for him. I knew if I was outside when he finished, he would invite me to join him on his cool down walk around the lake. I might have walked with him a dozen times or maybe it was only 4 times or maybe it was 100. I don’t remember. I just remember the comfort I found in that quiet time walking with my dad as he cooled down from a great run. My freshman year of high school, I found myself running laps again around the school gym during my daily PE class. After class, my PE teacher (the track coach) asked me if I’d be interest in joining them for track practice after school. Join a team? Run everyday with another group of people? I instantly said yes. I loved the idea of belonging to a group. I felt connected to something, and as a teenager this gave me an identity. I joined the distance track team. While I loved it, I was never the star athlete. 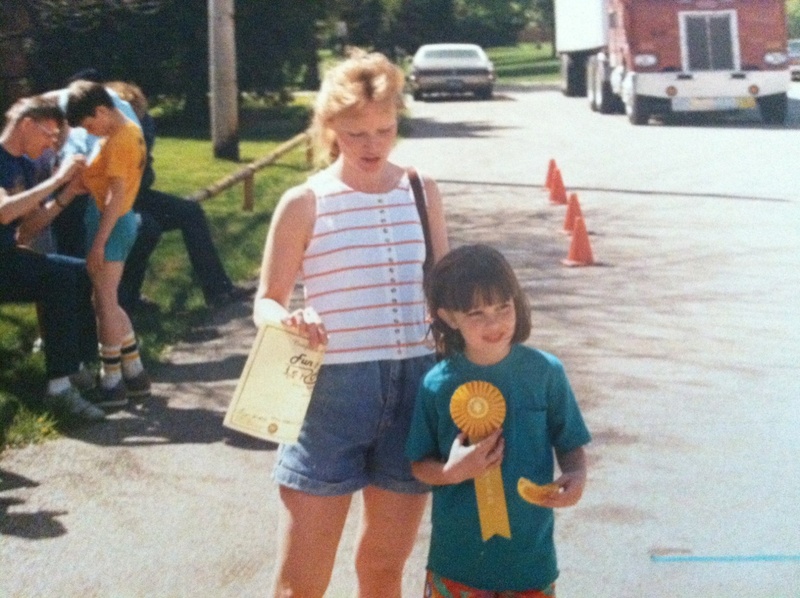 My first race was the 400 (not the race for me – now or then). I came in last. I still loved it. I later ran the mile race and on our 4 x 800 team. I never came in first. I came in last often. I loved every second of it. I still remember the run that made me realize I was a distance runner. We were practicing after school on the track. Our coach asked us to run for 10 minutes. We were supposed to run as much as we possibly could. I made it around the track 7+ times before the time was up. A little less than 2 miles in 10 minutes. (Yes. I miss 6 minute miles). When he blew the whistle for us to stop, I was so disappointed. I just found my running groove. I was just starting. I didn’t want to stop. With each lap, I was feeling stronger and faster. I could have kept going forever that day. The winter of my junior year, I broke both my legs a few weeks before our district track meet. I didn’t put my running shoes back on until my junior year of college. I was getting married. I needed to look good in my wedding dress. I ran for a few months before the wedding. After the wedding, my running shoes went back into my closet. The found there way back to my feet a few years later. I had just moved to Alabama. I was unemployed. I was in a small town in southern Alabama with no friends and no family. I was bored. I started running again. This time it was hard. It wasn’t fun. I got pregnant with Cole, and I gladly put the shoes back in my closet. After I had Cole (now living in Tennessee), I started running again. It felt good. I pushed him in his stroller. It was hard, but I loved it. I soon found myself a single working mom. I had no time for running (or so I thought). The shoes went back in the closet. Fast forward to the spring of 2009. Christian just moved into his new house on the North End. We woke up early one morning to walk down to the beach. As we got to the end of our street, we realized it was Shamrock Weekend. We stood and watched marathon runner after marathon runner pass us and the 23 mile marker. I felt a huge lump in my throat. I had to hide my face because I thought Christian might see the tears in my eyes. What was wrong with me? Why did I feel the need to cry as runners went by us? I was supposed to be there. I was supposed to be running. Seeing those runner brought back all the reasons why I loved running in the past. It brought back the comfort of time with my dad. 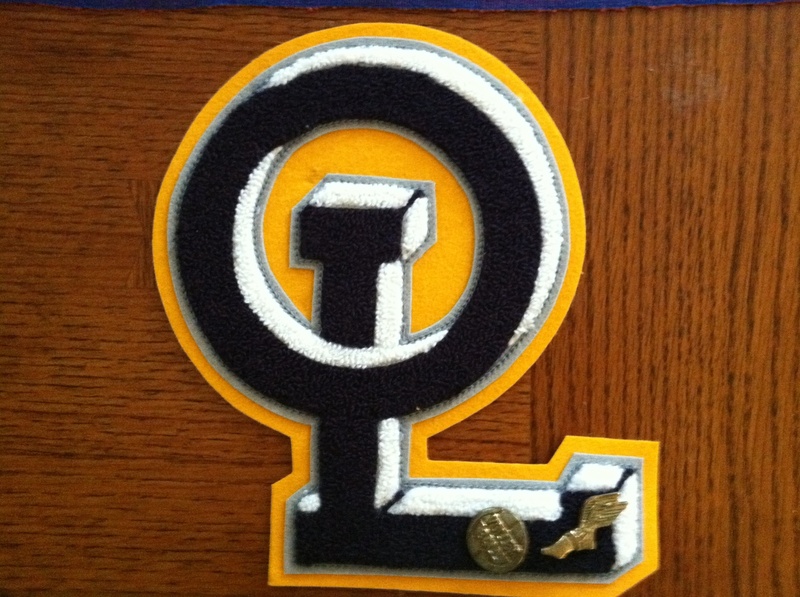 It brought back the sense of belonging I felt on my track team. It brought back that feeling of freedom I felt on the track that day during my 10 minute run. I was supposed to be running. I slowly dusted off my running shoes. I ran some here and there. Summer months surfaced, and it became hot. I came up with every excuse I could for not running. It was too hot. It made me sick. It was hard. I was too old. The excuses got me no where but right back to a place of longing. That November, Cole and I were playing on the Wii fit board. It was my turn to weigh myself. GASP! I weighed more than I had ever weighed (outside of pregnancy). Fortunately, I’m blessed with skinny frame and good metabolism because I was NOT healthy. I was out of shape. I wasn’t taking care of my body. I was a very unhealthy person hiding in a skinny body. Don’t you love full circle moments? 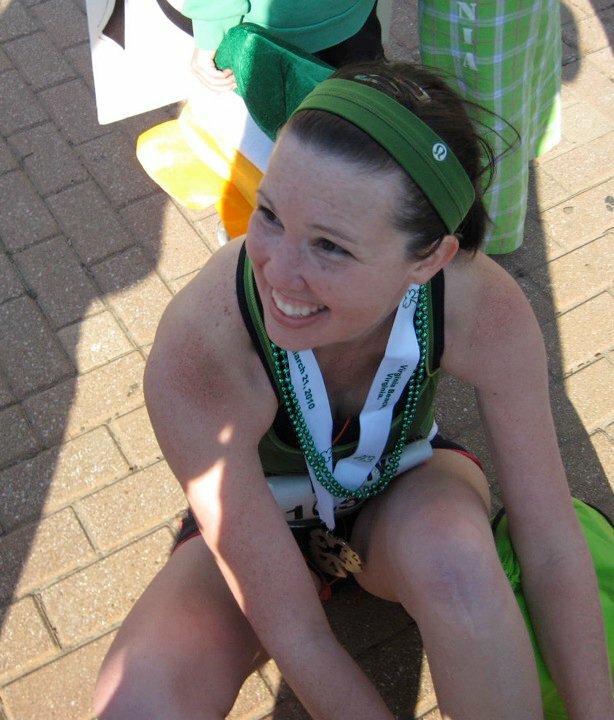 Her suggestion reminded me of that feeling I had months prior as I watched the Shamrock Marathon. I looked up the race. I found the training plan. It start THAT DAY. I was committed. Because of Christian’s push to get off the couch and quit feeling sorry for myself, because of Sara’s quick reply to an email, and because I happened to find a training plan on the day it started, running will always be a part of my life. I run because it is who I am. I am my best when I have running shoes on my feet. It is my time for me. It allows me to process my thoughts. It allows me to work through irrational thoughts and feelings. It allows me to battle insecurities. It allows me to connect with those around me. It allows me to fall in love with myself. It makes me a better person, a better wife, and a better mom. It allows me to live the best life I know how to live. I hope that Cole and Chet will recognize the joy I find through running the same way I saw that joy in my dad. I hope that they find a place in this world that provides them with a sense of belonging, a connection, and happiness. For me, running is that place. Running is home.